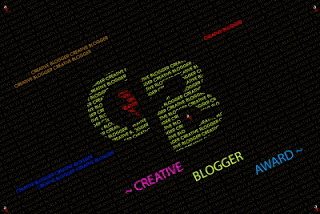 Yes..I have been awarded again and this time it's the Creative Blogger Award. The culprit this time too is Shivali Of Travel With Me. a) 1 thing you truly love about yourself. c) 3 things you want to change about yourself. 2. Nominate the deserving blogs and don't forget to inform them. 1a) One thing that I truly love about myself is that I can express myself really well. > I prefer spending on holidays/travelling rather than expensive jewellery. 1c)>Binging on yummy and unhealthy food. >Control my tears. They come out anywhere anytime, especially at the movies. And since it's Women's Day Today..I wish All You Lovely Ladies A Very Happy Women's Day. And this is what my Husband gifted me on Women's Day. Image via Healthkart.com. You can order it here. It's time You Stand up for Yourself and Take Charge. Wow congratulations! I also love the name of your blog! It's so creative! Well deserved! Thnx Oeendree. u r too sweet. Happy Women's Day to u too lovely lady! We should try and catch up when I'm in Bombay! Dress up today and send a click! Sure..we shud. Tell me when u r going to be in mumbai, n we can plan sumthing. Ohh n I LOVE Sabyasachi too!! Congratulations Aditi...May you win many more. And thats such an awesome idea for gift - The Pepper Spray. I am surely gifting myself one. N u r welcome. Very well deserved. Congrats Aditi thats awesome indeed to pat on the back of fellow bloggers! Congrats on the awards!! Love the last picture!! Hope you are having a wonderful day!